is elated to Celebrate the Life of this woman leader, a remarkable woman who lead for years the boardroom of global corporations, leading the way for all women. Scardino was born in Flagstaff, Arizona in 1947, but grew up in Texarkana, Texas. While living in Texas she participated in rodeo riding as a teenager. Scardino is a graduate of Baylor University with a BA is French and psychology in 1969. She began law school at George Washington University but dropped out to become a journalist and later obtained her law degree from the University of San Francisco School of Law. Before 1985 she was the editor of the Pulitzer Prize-winning newspaper, The Georgia Gazette, where she worked with her husband Albert Scardino, later a media reporter for The New York Times. 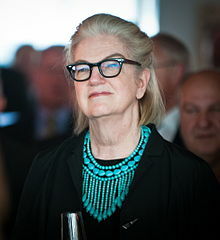 Dame Marjorie Morris Scardino, DBE, FRSA (born 25 January 1947) is the former CEO of Pearson PLC. She became the first female Chief Executive of a FTSE 100 company when she was appointed CEO of Pearson in 1997. She is also a non-executive director of Nokia and former CEO of the Economist Group. 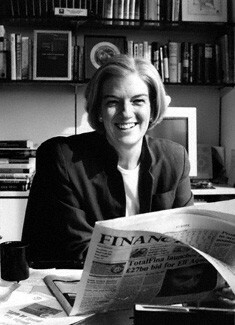 During her time at Pearson, she had tripled profits to a record £942m. Scardino studied French and psychology at Baylor University, Waco, Texas (B.A., 1969), and, following a stint as an Associated Press editor, completed legal studies at the University of San Francisco (J.D., 1975). While working as the managing partner (1976–85) of a Savannah, Ga., law firm, Scardino and her husband, Albert, launched and published a weekly newspaper, the Georgia Gazette, which succeeded editorially under Albert’s direction. Financially, however, the paper failed. Marjorie, who served as its publisher, later said that the Gazette’s business losses taught her more than any success could have. Scardino joined the firm she later headed by way of the New York offices of the Economist magazine, which was half owned by Pearson. As president (1985–93) of the Economist Newspaper Group, Inc., she more than doubled its North American circulation. Upon assuming the position of CEO of the Economist Group in 1993, she moved to the magazine’s London headquarters and branched into businesses such as financial research services and sector analyses. By 1996 Pearson had become a £2.25 billion (about $3.5 billion) media firm hobbled by far-flung interests. Scardino was named CEO in 1997, making her the first woman to head a FTSE 100 company. (FTSE, which is now an independent company, got its name from its origins as a joint venture between the Financial Times newspaper and the London Stock Exchange.) She swiftly charted new directions by selling peripheral businesses such as Mindscape, a money-losing technology company; Tussaud’s, famous for waxworks; and Lazard, an investment firm. Nicknamed “Marj in Charge,” she made a big bet on educational publishing by purchasing Simon & Schuster’s educational businesses in 1998. Despite missteps, such as over-investing in online education, Scardino organized Pearson into three key divisions: consumer publishing, financial publishing, and Pearson Education—one of the world’s largest educational firms. In 2003 Scardino received a £273,000 (about $452,000) bonus, which attracted criticism from many investors and media watchers who noted Pearson’s £25 million (about $40 million) losses in 2002. Many cited the previous year when she had waived her bonus following Pearson’s 2001 loss of £436 million (about $633 million). Scardino’s critics pointed to declining advertising revenues at the Financial Times (FT), the firm’s leading publication, but Scardino spurned recommendations to sell the FT, insisting it would not be sold during a downturn. Indeed, profits at FT increased sizably in the following years. ‘The softly-spoken American did a pretty decent job, all told. But thank goodness they didn’t know what was going on in her head’. Part of the joy for Dame Marjorie was reshaping Pearson from a bewildering rag-bag of a business, which included Madame Tussauds wax museum, half of investment bank Lazard and a sizable cache of Château Latour wine, into today’s publishing and education empire. Its current portfolio includes the Financial Times newspaper and Penguin Books, as well as a growing number of English language schools and universities in China and South Africa. Dame Marjorie, a former rodeo rider, is known within the company for acting on instinct rather than starting out with forensic analysis. 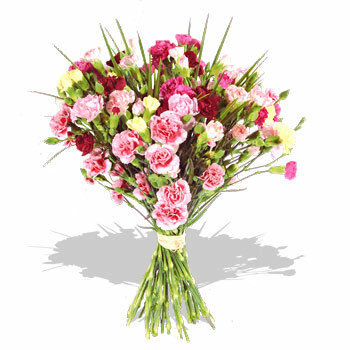 Some decisions have been misplaced – she laughs remembering the pink FT mobile phone launched in the late 1990s – but canny investments in digital initiatives and emerging markets have helped the group navigate its way through two recessions, a dotcom meltdown and the structural decline of print media. There was also a corporate disaster before she joined Pearson. Before they moved to Britain, Dame Marjorie and her husband bought The Georgia Gazette, pouring their money and energy into the newspaper only to watch it founder. She ended up working as a lawyer by day, trying to make ends meet, but even then it didn’t work. Dame Marjorie’s newsroom roots arguably steered a lot of her decisions at Pearson. She has disposed of assets right, left and centre but famously quashed rumours about selling the FT by declaring it would only happen “over my dead body“. Analysts were quick to interpret her resignation on Thursday as a signal that Pearson could finally shift its resolve on that front and sell the newspaper that was Rupert Murdoch’s quarry for many years. Today, Bloomberg is tipped as a more likely buyer. For a woman who has spent nearly 16 years blazing a trail in the boardroom, it might be the toughest challenge yet. In 2007, Forbes magazine acknowledged her success when they listed her as the 17th most powerful woman in the world. She serves on the board of the MacArthur Foundation and the Carter Center. She is an Honorary Fellow of the Royal Society of Arts. She also won the 2002 Benjamin Franklin Medal. In 2007 she was listed 17th on the Forbes list of the 100 most powerful women in the World. On October 3, 2012, it was announced that she will step down as CEO of Pearson to be replaced by John Fallon. 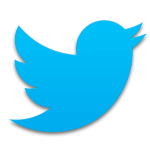 In December 2013, she joined the board of Twitter as its first female director, after a controversy involving a lack of diversity on the Twitter board. Her son is actor Hal Scardino. 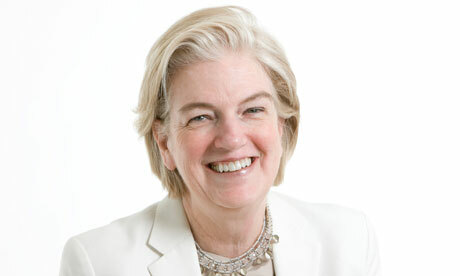 December 5, 2013, Twitter announced it is adding former Pearson CEO Marjorie Scardino to its board of directors. It’s about time. The company has caught some flack for its lack of female board members. That being said, Twitter is not alone in this matter. Almost half of publicly traded information technology companies have no women on their board, according to research firm GMI Ratings. Scardino is an interesting choice to fill Twitter’s gender gap. An outspoken supporter of women in business leadership, she’s not new to breaking glass ceilings. In 1997, when she took over as CEO at Pearson, a London-based education and media company, Scardino was the first female chief executive of a FTSE 100 company. She left Pearson in October 2012. Scardino isn’t just new to Twitter’s board, but to Twitter itself. The company announced the new addition with a tweet (of course) and Scardino responded with gratitude in what seems to be her first tweet ever. welcomes this woman leader, a remarkable woman, a leader in business trailing new paths for all women. Filed Under: Uncategorized, WOMEN of ACTION™ Tagged With: A Celebration of Women, acelebrationofwomen.org, Albert Scardino, Associated Press, BA, Baylor University, boardroom, CEO, Dame Marjorie Morris Scardino, French, George Washington University, law school, Marj in Charge, Pearson PLC, psychology, Pulitzer Prize, woman, Woman of Action, women.